Janet Wong is the author of five collections of poetry and six picture books, but she wasn't always an author. 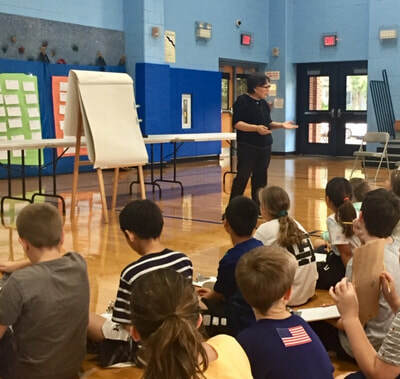 On her website, she encourages children by saying, "Just TRY. 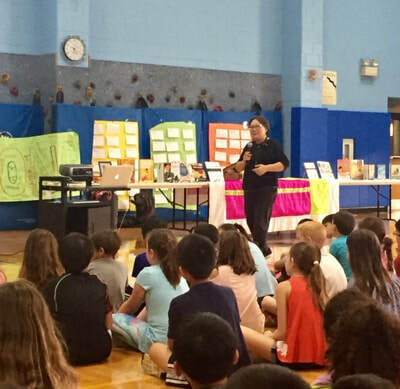 That’s the message I share with children, teachers, librarians, and aspiring authors all over the world. Do you have an idea? Write it down. Don’t worry about making it “good”—just TRY. 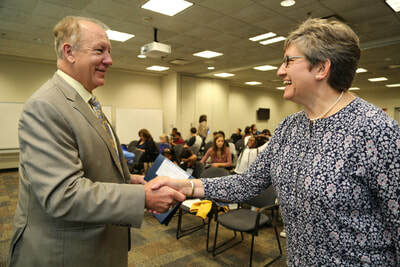 The key is getting started. 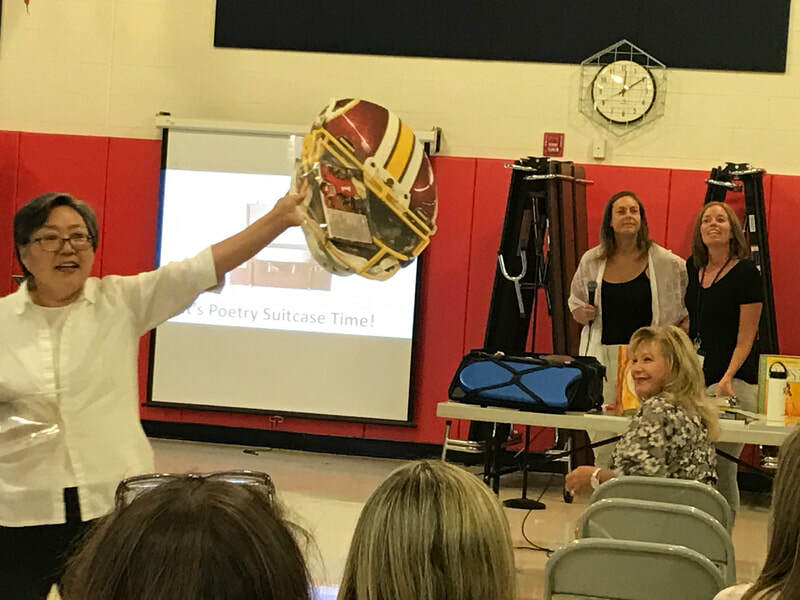 Getting those big wheels in your brain to move. If you sputter, if you stall, no problem. Wait a little while and start it up again. Someone needs to write the poems of the 21st century. Someone needs to write our stories, our books, our movies, our slogans, our songs. Why not YOU?" 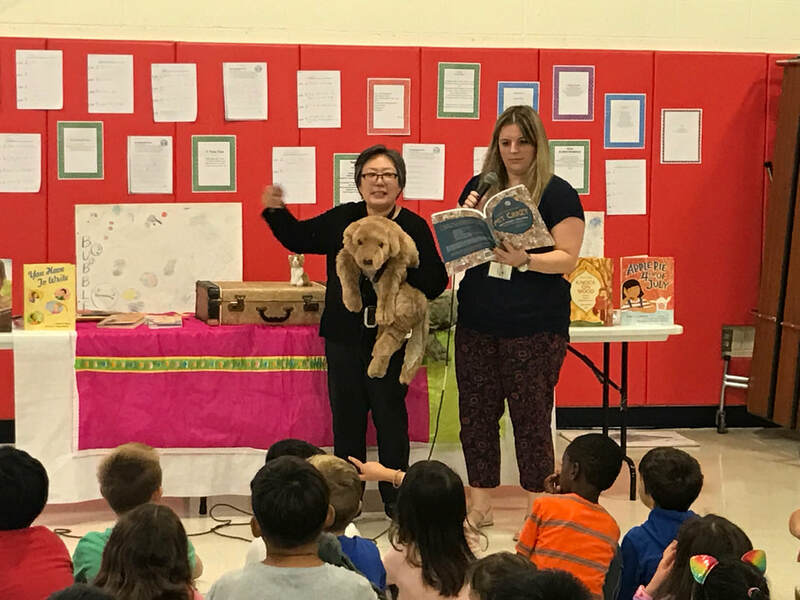 Janet Wong, amazing author of more than 30 books for children and teens visited both Roosevelt and Cherry Hill Schools in October. She engaged and enlightened students with stories of her life and how she became an author. 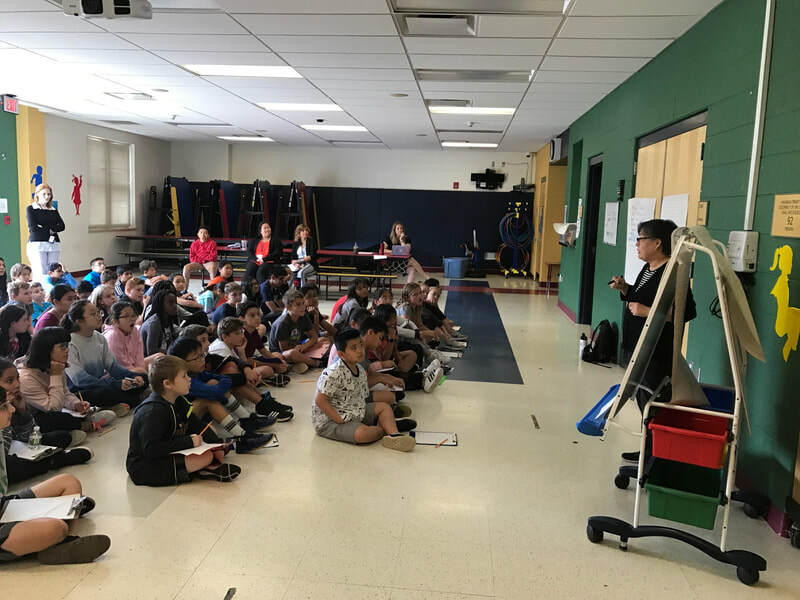 Students also participated in a writing workshop session. 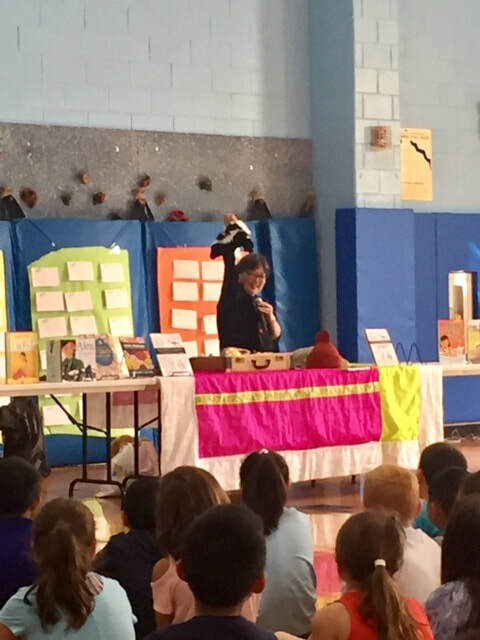 Students in all grades enjoyed her stories and teaching! 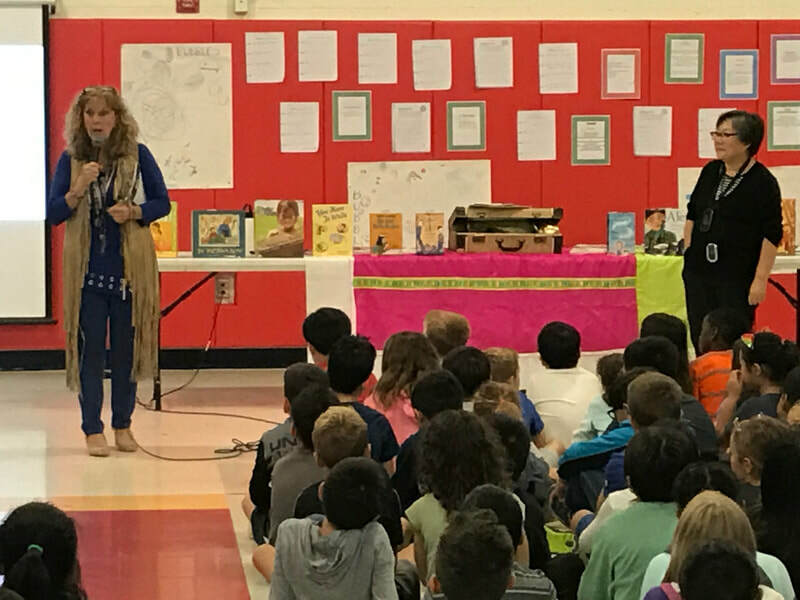 Below are pictures from her visit to River Edge Schools. 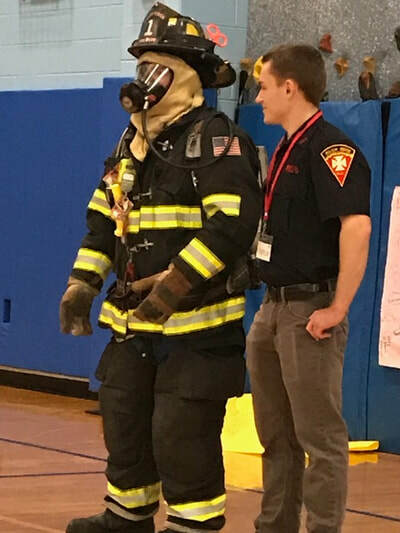 On October 11th, members of the River Edge Fire Department visited Roosevelt School to explain the importance of fire safety to all the students. 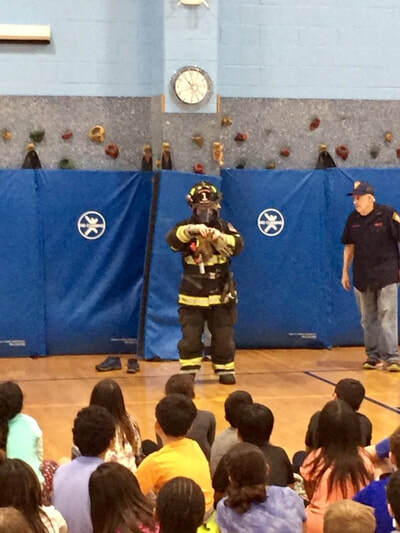 Students asked questions and learned how to keep themselves safe during a fire. 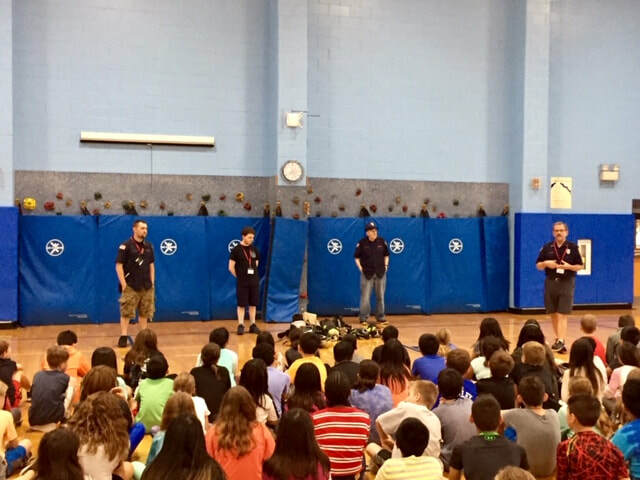 According to safekids.org, "Working smoke alarms... are a critical first step for staying safe, but in order to be effective, they have to be working properly. For the best protection, install smoke alarms on every level of your home and in every sleeping area." Students heard this important message and many more from our own local heroes! 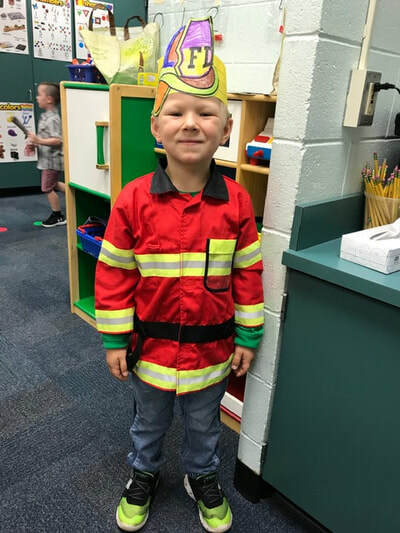 Pictured below are River Edge Firefighters and Nick Roshen from Mrs. Poole's Kindergarten class. 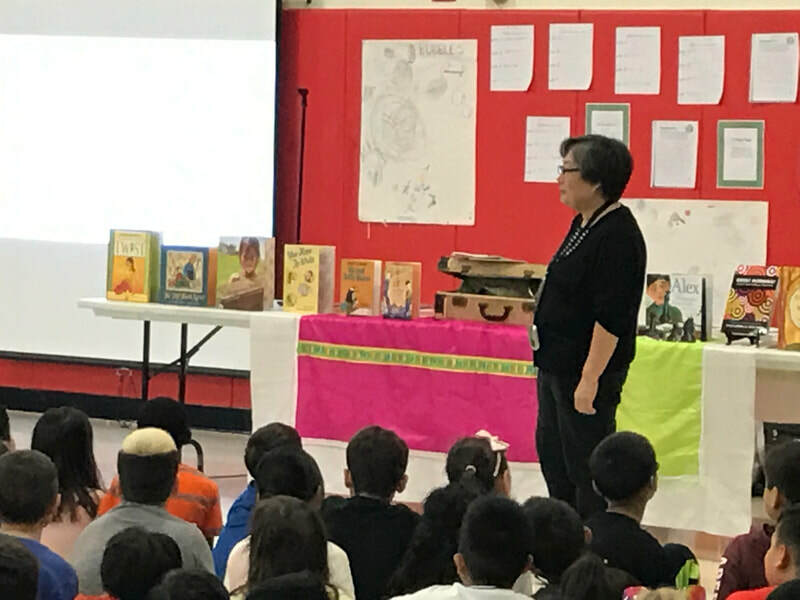 Students were visited by another author this month! 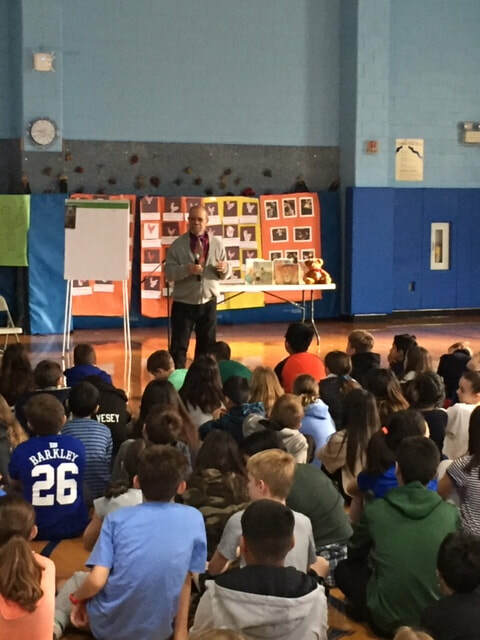 Philadelphia born and raised, Jerry Pinkney is an accomplished and well respected artist in children’s literature, illustrating over 100 books that are enjoyed by both children and adults. 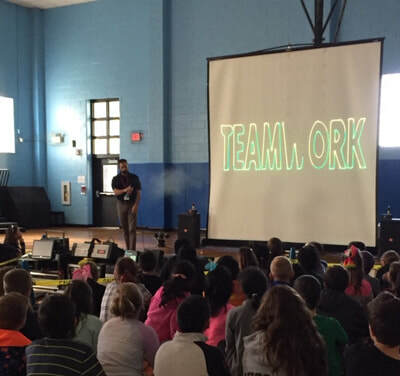 Jeremy Pinkney visited Roosevelt and Cherry Hill Schools! He shared stories of growing up in Germantown PA during segregation and his life as an author and illustrator. He wowed the students with his drawings from his books, along with his drawings of his nature scenes. 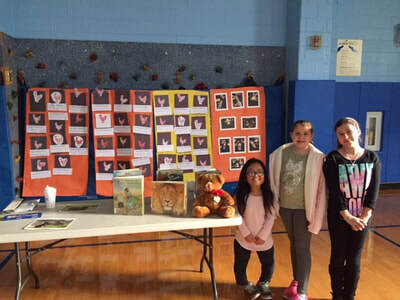 Pictured: 5-H students, Jenna Agerup, Marisa Mei & Hannah Lee. 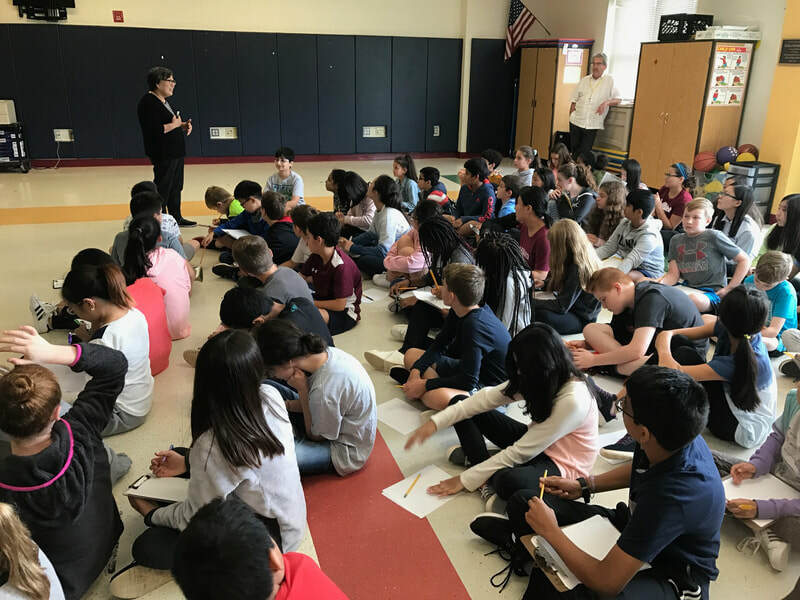 In the spring of 2018, Mrs. Hafers applied for another Environmental Awareness Challenge Grant on behalf of her 6th grade Capstone CREATE class. 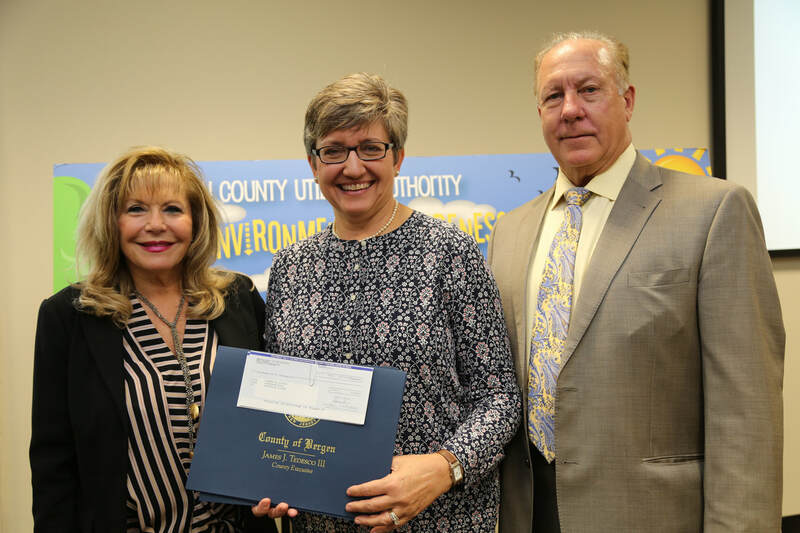 The grant is sponsored by the BCUA (Bergen County Utilities Authority) and each year, they award amounts up to $1,000 to schools who have a functioning recycling program in place, or use the grant to implement one. 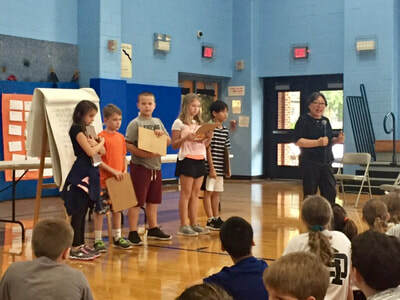 In previous years, the grants we have won at both Roosevelt and Cherry Hill schools have allowed us to purchase additional blue recycling bins, install a bottle filler water fountain, and implement an “upcycle” program using Terracycle. Last year’s class wanted to accomplish two things, and was excited to win $2000 this year, our largest award ever. First, we will use the money to purchase metal, outdoor recycling cans, for the sports fields at both schools. The CREATE students noticed that there was only a regular trash can there and commented that many water and sports drink bottles were being thrown in the trash. 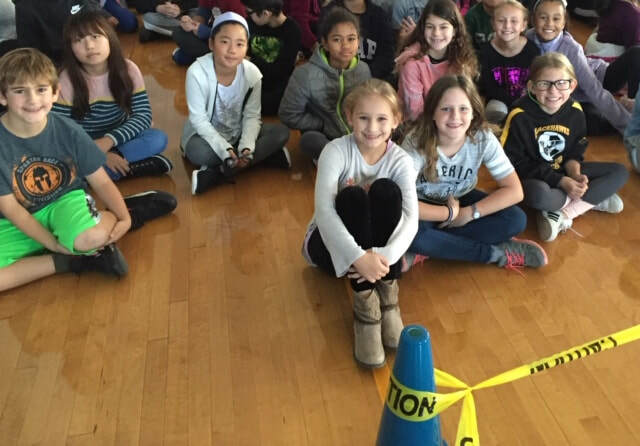 We hope that this outdoor recycling can will encourage people using the fields to properly dispose of recyclable items. 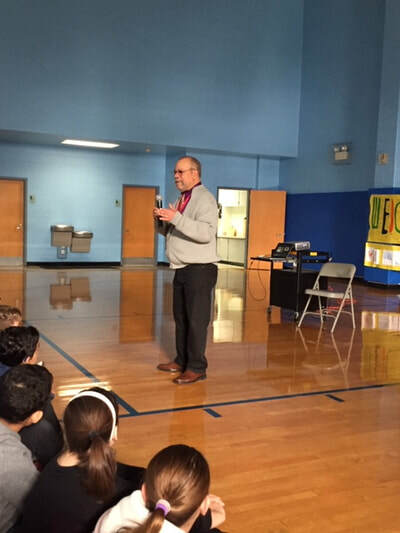 Second, they wanted to expand last spring’s CHS Terracycle pilot to both schools. Terracycle collects waste streams that typically cannot be recycled locally, like batteries, pens, snack bags, and other products sponsored by a variety of companies, like Brita, and Burt’s Bees. 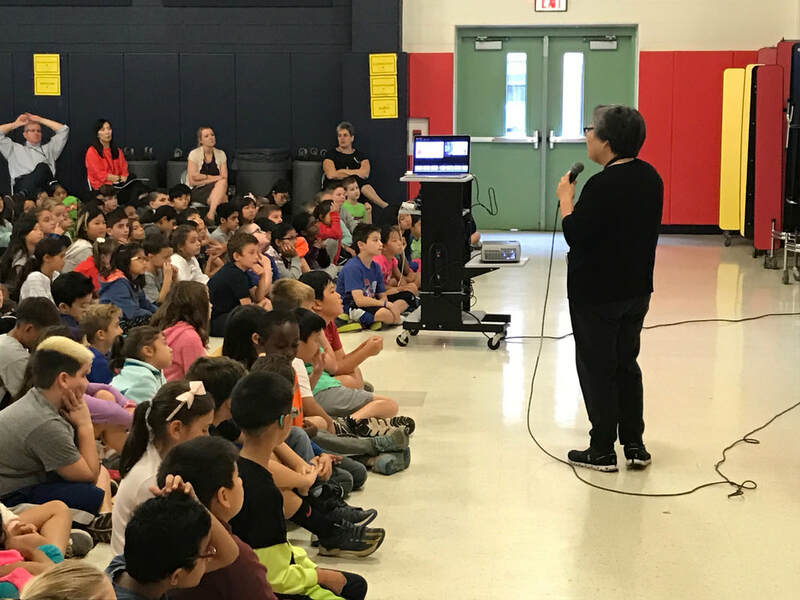 We will use the rest of our grant money to buy indoor cans to serve as central collection bins and to enroll in some of Terracycle’s zero waste programs. Long term, we hope to accumulate points as a school that we can use for other recycling programming. 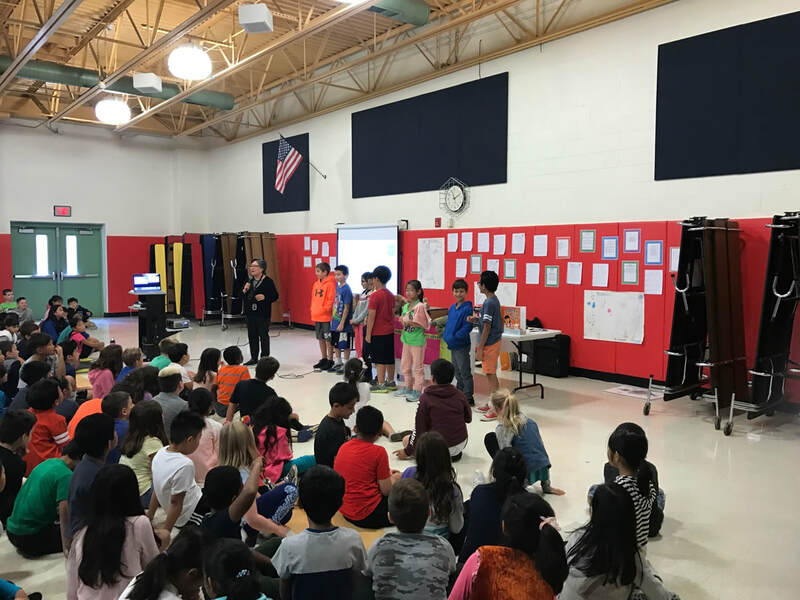 Prismatic Magic is a group that visits schools to promote anti-bullying. 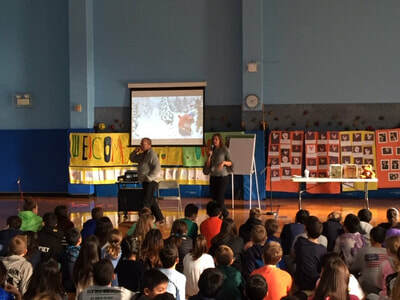 This month, they came to River Edge Schools! 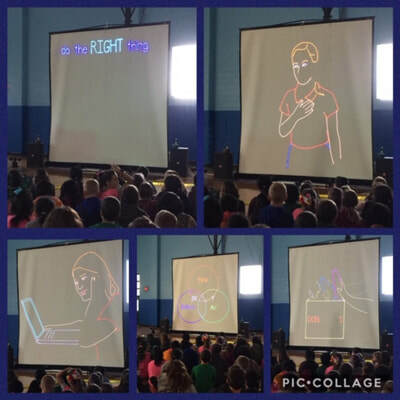 The prismatic assembly was fun-filled laser show that taught the students of Roosevelt, Cherry Hill and New Bridge Center how to be respectful in all situations and how to be an anti-bully. 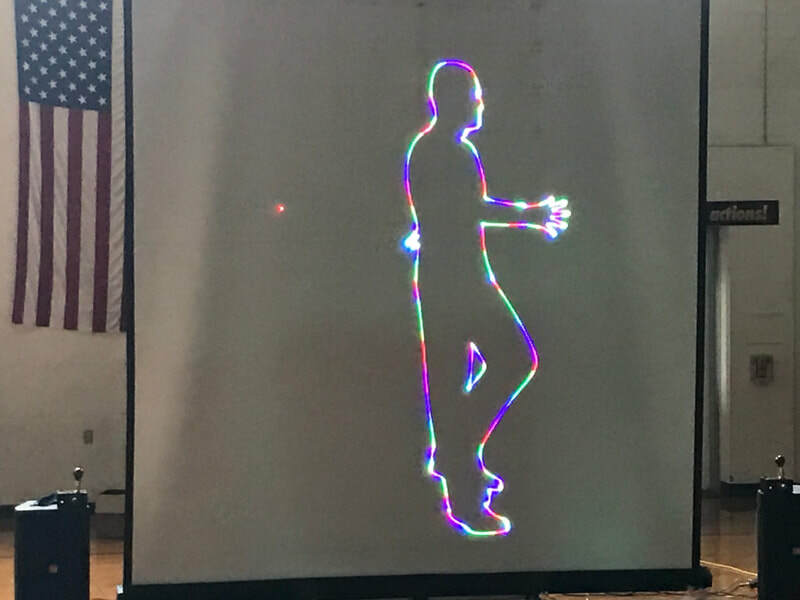 The students enjoyed the lessons, laser show and music. 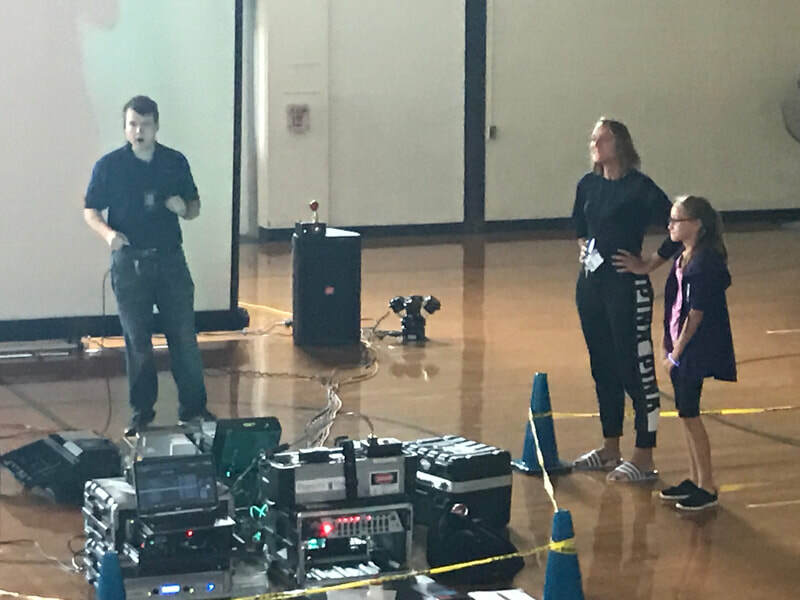 The Prismatic Magic Laser Team "shows students that their school is a team and shows why bullying and cyber-bullying, or even just standing by when someone else is bullied, is so detrimental. The program reinforces the key attributes that make for successful teams: respect, integrity, generosity, honesty, and truth." 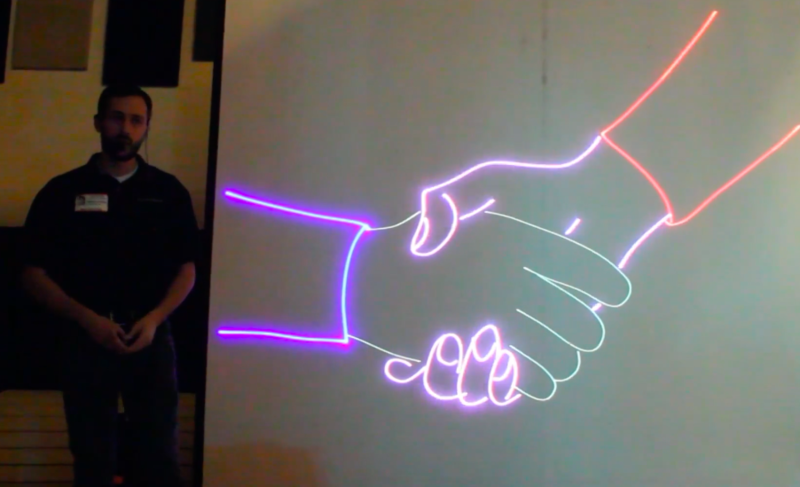 By integrating a dynamic live presentation with an exciting laser show, the assembly will have a lasting positive impact. Pictured below are photos from both Roosevelt and Cherry Hill Schools.